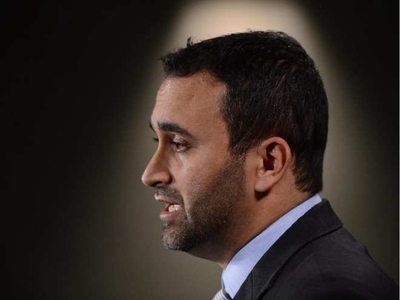 Authorities should be concerned about the unseen hand of the Muslim Brotherhood gripping sections of Canada's diverse Muslim community, says a U.S. security expert. The movement has planted its revivalist interpretation of Islam, political ideology and activism among some Muslims here and sees itself as a minder and broker between them and the rest of society, Lorenzo Vidino, who specializes in Islamism and political violence, told the Senate's national security committee recently. "They basically aim to be the gatekeepers to Muslim communities, that whenever politicians, governments or the media try to get the Muslim voice, if there were such a thing, they would go through them, sort of the self‑appointed leaders of Muslim communities," he said. Vidino is director of the program on extremism at George Washington University and author of The New Muslim Brotherhood in the West (Columbia University Press, 2010). He sees no direct links to terrorism among the group's western supporters. In fact, some work to prevent violent radicalization, he said. "It would be an analytical mistake to lump them, as some do, with al-Qaida or ISIL. These are not organizations that plan attacks in the West, and actually in many cases they do condemn them." The problem is more indirect, Vidino said. "Generally speaking, the movement has not abandoned violence as a tool to advance its agenda." Tactically, it doesn't pursue violence, "but it's not heartfelt," he said. "They have this narrative where they lump together foreign policy issues with issues like cartoons and so on as part of a big narrative that proves this point that the West hates Muslims and Islam. It's that mainstreaming of this narrative which is very much the staircase to violent radicalization and the brotherhood does mainstream that. It provides somewhat of a fertile environment. "That kind of narrative in the mind a 16- or 18-year-old is extremely dangerous, because violence is justified when Muslims are under attack. If it's OK in Gaza and Afghanistan, why is it not OK in the West, where you're also telling me that Islam is under attack?" The brotherhood is a banned terrorist organization in some Middle East and other countries, notably Egypt, where the movement was born. But it has different profile in the West. To start, there is no group calling itself the "Muslim Brotherhood" in North America. Instead, a few hundred sophisticated, politically savvy and well-funded supporters in Canada have over the past 50 years created vocal and visible organizations that represent a very small part of the Muslim community. They exert a disproportional influence over mosques, schools and spaces where Muslims come together, said Vidino. While they don't take orders from any Arab capital, they "are part of an informal network where you have strong links based on personal and financial connections, and at the end of the day what matters the most: ideology. They all embrace a certain world view." Groups sometimes go to great lengths to sever or hide such ties, Vidino told the committee. He said they include the Muslim Association of Canada and what used to be called CAIR-CAN, now the National Council of Canadian Muslims. Another group he identified is The International Relief Fund for the Afflicted and Needy – Canada, IRFAN. Its charitable status was revoked after the government alleged the organization sent almost $15 million to groups affiliated with the Palestinian terror outfit Hamas between 2005 and 2009. IRFAN has since been listed as a banned terrorist organization in Canada. Ihsaan Gardee, executive director of the NCCM, said Vidino is misinformed. "The NCCM is an independent, non-partisan and non-profit grassroots Canadian civil liberties and advocacy organization with a public track record spanning 15 years," said Gardee. "The NCCM is not a religious group and does not and has never had any affiliations, links, ideological or of any other kind, with the Muslim Brotherhood or any other overseas group." The Muslim Association of Canada did not respond to a request for comment. But its website traces its roots to the teachings of Egyptian Hassan al-Banna, who founded the brotherhood in 1928 to revive and integrate traditional Islamic teaching and practices, such as sharia law, with modern society. Vidino's parting advice to the committee: "Engage with knowledge. Know that they have an agenda."